On June 10, Massachusetts State Police received a report of a multi-vehicle accident. The information was received by police around 7:00 in the morning on Sunday, and emergency responders were dispatched to the scene soon afterwards. Upon arrival at the scene, they discovered that the accident involved six vehicles and multiple injuries. The incident occurred on I-95 near Exit 5 in North Attleboro. First responders administer medical care to multiple victims at the scene. Three people had to be transported to area hospitals. The extent of their injuries is still being determined. However, no fatalities were reported. The scene was cleared within the hour, and traffic began to flow normally within a short time of the accident being cleaned up. None of us ever expect to be in a car accident, and these incidents can happen out of nowhere. A car accident can cause severe trauma to victims and leave them suffering from critical injuries. 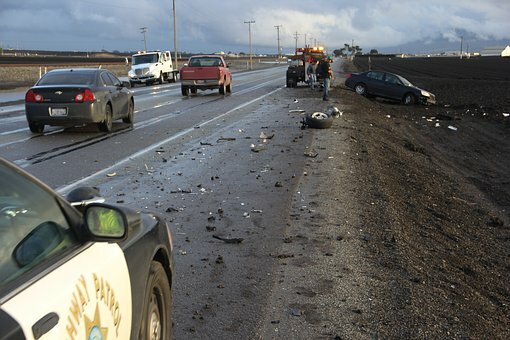 Accidents that involve multiple vehicles can be particularly catastrophic. All drivers have a responsibility to follow the rules of the road and be aware of their fellow drivers. We must all do our part. The serious nature of this accident reminds us all that we need to remain aware and vigilant to prevent accidents. When drivers are commanding a vehicle, they must remember to be conscious of other people around them. Multiple people were injured in this accident, and this should remind us all of the importance of safe driving at all times. These victims and victims who are injured in similar accidents can seek to recover their rights and losses so they can heal and get back to living their lives. As members of the community, we want our roads to be safe for all drivers. At the Law Offices of Jeffrey S. Glassman, we know how catastrophic some car accidents can be as we often help victims struggling after similar accidents. When an accident occurs, we are also here to help victims get the assistance and support they need to return to their lives. Victims deserve to get help so they can focus on the healing process.